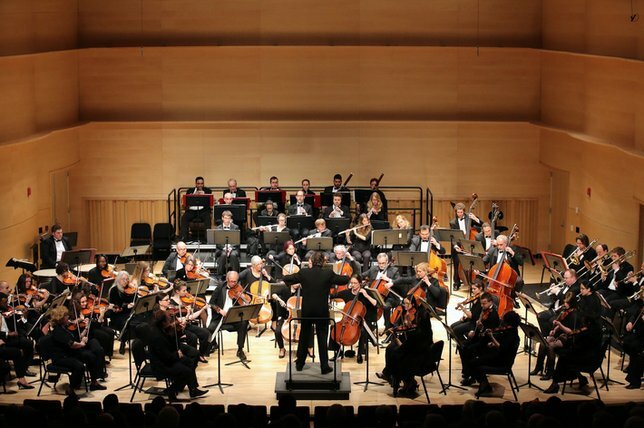 Adelphi University’s Performing Arts Center (AUPAC) is proud to present the Adelphi Symphony Orchestra which brings together talented University students who play alongside their professors and some of the area’s finest orchestral instrumentalists. Garden City, NY - November 2, 2015 - Adelphi University’s Performing Arts Center (AUPAC) is proud to present the Adelphi Symphony Orchestra which brings together talented University students who play alongside their professors and some of the area’s finest orchestral instrumentalists. The all-Mozart program will take place on Friday, November 13, at 8:00 p.m. on the Westermann Stage of the Concert Hall at 1 South Avenue, Garden City, NY. The program will consist of the best by Wolfgang Amadeus Mozart. Mozart was only 17 years old at the time he composed his Symphony No. 25, sometimes called the “Little G Minor”, but it has all the hallmarks of his spectacular maturity. Book-ending this all-Mozart program is one of the last three great symphonies from his final year, the mellifluous Symphony No. 39 in E-flat. Between them, Gabrielius Alekna is soloist in one of the most loved of his late Piano Concertos, the No. 24 in C minor, KV 491; and in the glorious concert aria with piano obbligato, Ch’io mi scordi di te, joined by soprano Darla Diltz. For additional information on Adelphi’s Department of Music, visit here. Adelphi University Performing Arts Center (AUPAC) is one of Long Island’s premier cultural arts venues for entertainment of all kinds. Tickets are currently on sale and are priced at $20, with discounts available to seniors, students and alumni. For more information about all events at AUPAC and to purchase tickets, visit here. Information is available at The Lucia and Steven N. Fischer Box Office at (516) 877-4000 or email. Regular box office hours are Tuesday through Friday from 1-6 p.m. The box office is also open two hours before most scheduled performances. Subject: LongIsland.com - Your Name sent you Article details of "Adelphi Symphony Orchestra Conducted by Grammy-Nominated Christopher Lyndon-Gee on November 13"